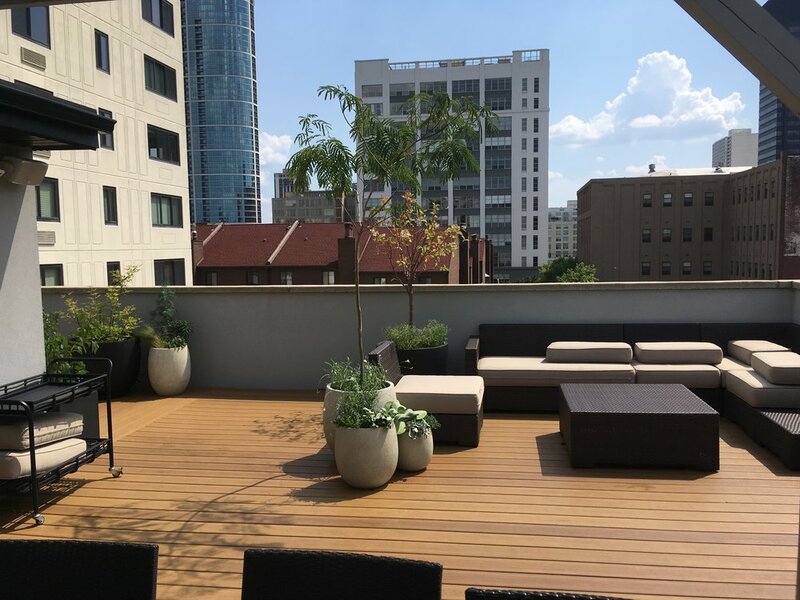 How do you introduce plants into your life if you do not have a yard? 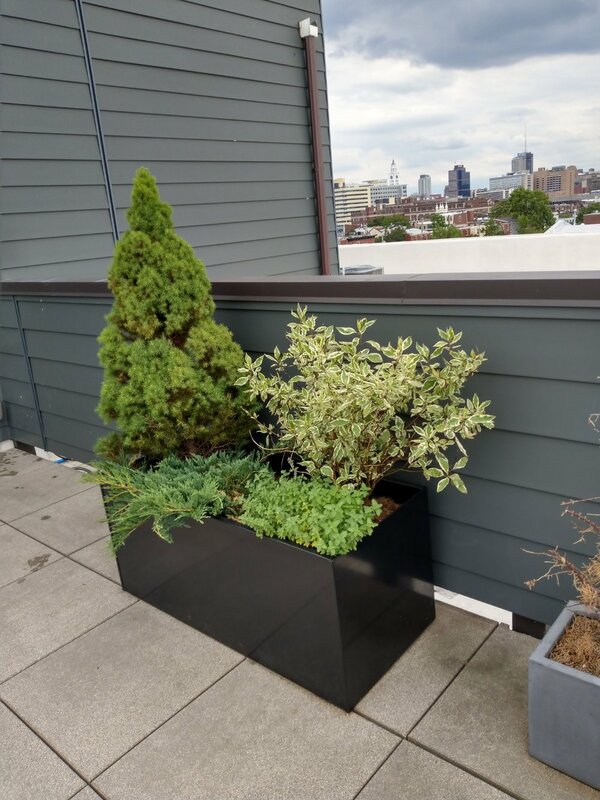 Gardening in containers can solve that problem for you. 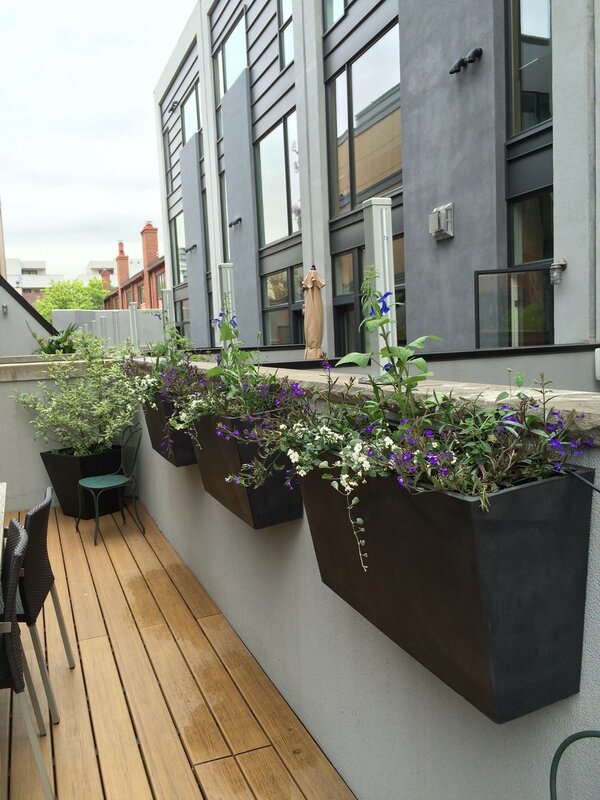 Containers and planters can offer you many options for greening up your living space. Containers come in many shapes and sizes and can be used in almost any location. 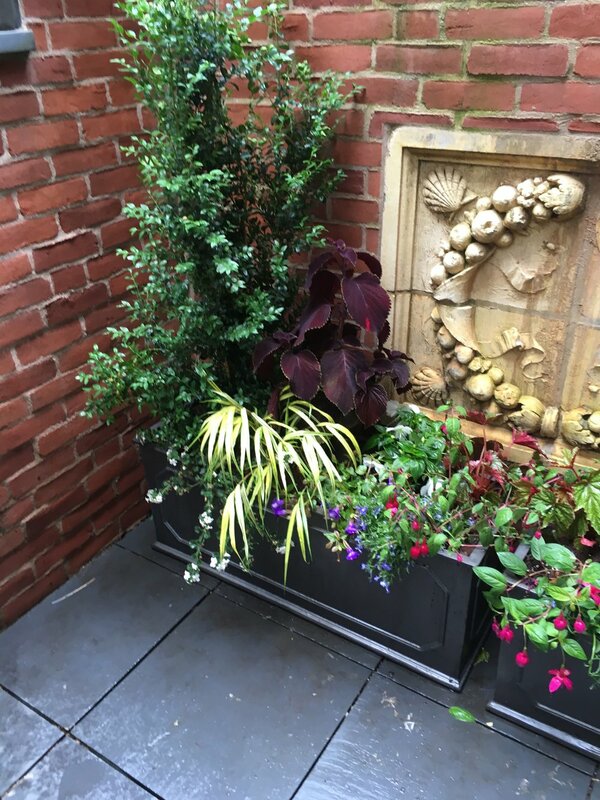 Container planting can enhance the curb appeal of your home or business. 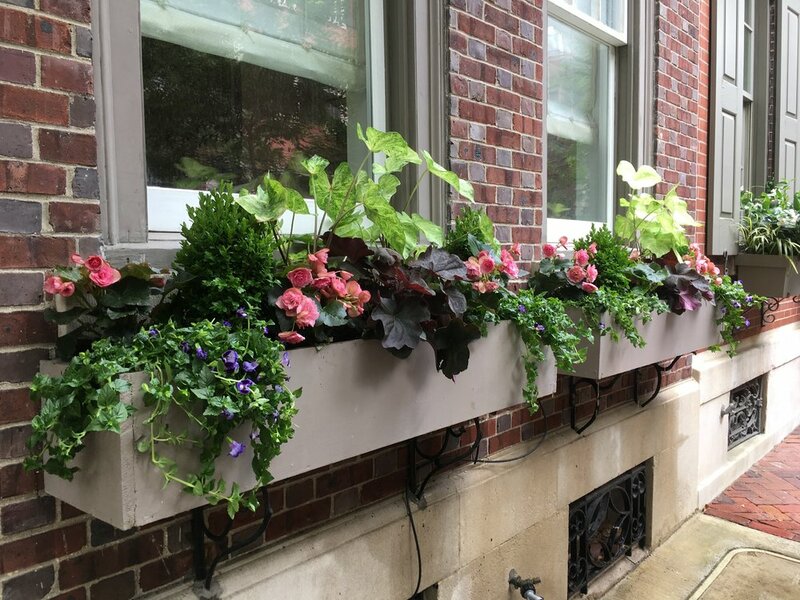 Windowboxes can bring a splash of color and visual interest to any facade and modular trough containers can be used to create privacy screens or block out air conditioners and meters in backyard spaces or on roof decks. *Because of their smaller size, containers require vigilant watering. In the heat of the summer, you may be watering once a day. Be sure when you water, you are watering thoroughly, more than a gallon per plant is usually required. It is unwise to count on rainfall to keep your plants hydrated. Please see our watering guidelines for information on how to know if you are watering enough.